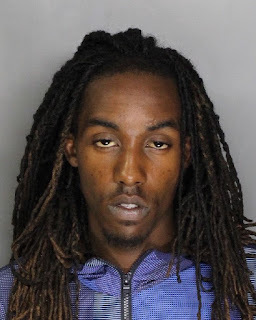 An Elk Grove probationer who was free on bail is in custody at the Sacramento County Jail after being arrested by Elk Grove Police on multiple felony charges. According to police reports, officers were dispatched early Thursday morning to the 9800 block of Tarzo Way regarding suspicious activity near a vehicle. Responding officers located 20-year old Michael Stewart (pictured above) who matched the description. After contacting Stewart, a records check revealed that he was on probation. A search of Stewart led to the discovery of property not belonging to the suspect, and officers located a nearby parked vehicle that had been tampered with. Stewart was arrested then taken to his residence for a probation search which led to the discovery of a loaded firearm with an altered serial number. Stewart was also found to be on bail at the time of his arrest. Stewart is being held on five felony and three misdemeanor charges and is ineligible for bail. Stewart is scheduled for a Monday afternoon arraignment.